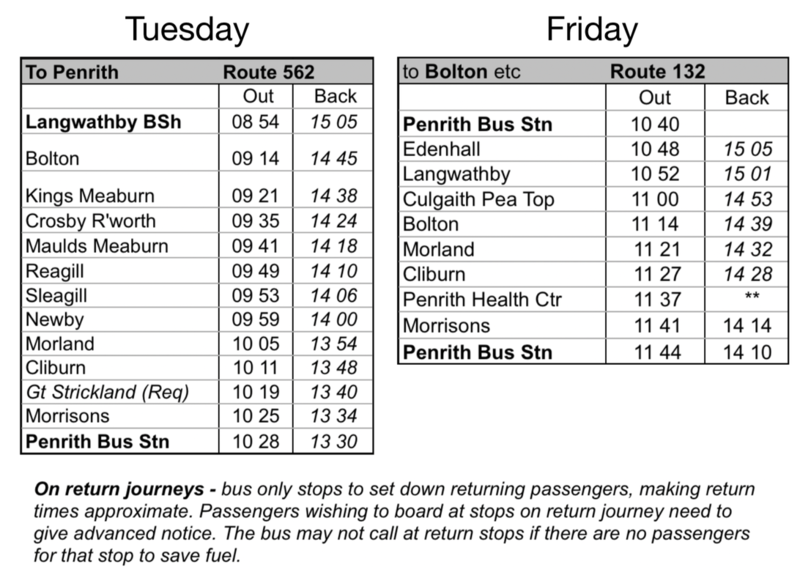 Timetable of scheduled services to and from Cliburn starting April 2019. No service on Bank Holidays. All enquiries to 07734 529432.